When looking at 2012 luxury SUVs, you will find more variety than ever with the introduction of several new models, especially in the compact luxury class. Luxury SUVs have proven to be the perfect compromise between the style, power, handling, and smooth drive of a car. When spanning the compact, mid-sized, and large luxury SUVs, there are only two all-new models in 2012. The Land Rover Evoque has already won a lot of acclaim as it was named the Motor Trend 2012 SUV of the Year. The Saab 9-4x also makes its debut. It is a key model for the Swedish automaker as it could save the company from extinction. The 9-4x shares its architecture with the excellent Cadillac SRX. There are several popular models of luxury SUVs, which have undergone major changes for 2012. One of the most needed changes was to the BMW X3. You likely won’t spot the changes right away because visually not much has been altered. However, the handling and power has received a significant upgrade so that it can compete against any luxury SUV on the market, which is highlighted by the xDrive35. The Volkswagen Touareg has received an updated look with new headlights. The Touareg shares its platform with the 2011 SUV of the Year winner Porsche Cayenne. The Mercedes-Benz ML enters its third generation with crisper styling and more standard features. Power has also been bumped to 302 horsepower for the base engine without sacrificing fuel economy. For those seeking top fuel economy, go with the Bluetec diesel engine, which gets fuel economy of 20-mpg city and 27-mpg highway. One of the most well-known of benefits of many luxury SUVs is the amount of cargo space that they offer. The Lincoln Navigator is one of the most spacious with 103.3 cubic feet of cargo space, assuming the second and third rows are folded into the floor. Another luxury SUV with extensive cargo room is the Cadillac Escalade, however in order to take advantage of that you will need to manually remove the third row seating. The Infiniti QX is a top pick among full-size luxury SUVs. If fuel efficiency is a priority when choosing your luxury SUV then a compact or mid-size model will be your best option. The Audi Q5 is one of the most fuel-efficient compact luxury SUVs. It adds an 8-speed automatic transmission for 2012 and achieves nearly 30 miles per gallon on the highway. 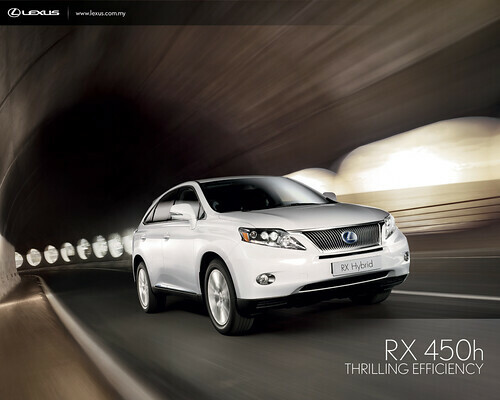 If you can afford a luxury hybrid SUV, then the Lexus RX 450h can provide a great combination of features and fuel economy. Many people want to own a luxury SUV, but still want to find an option, which is more budget friendly. There are several strong luxury SUVs of 2012 that have a starting price below $35,000. 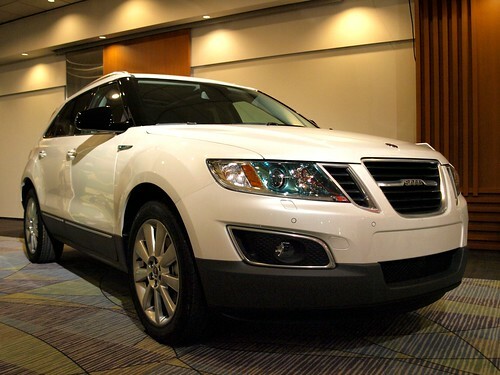 They include the Volvo XC60, Acura RDX, and Saab 9-4X.